FY17 Gross Profit increased by 14.3% YoY to Rs. 2,753.0 mn. 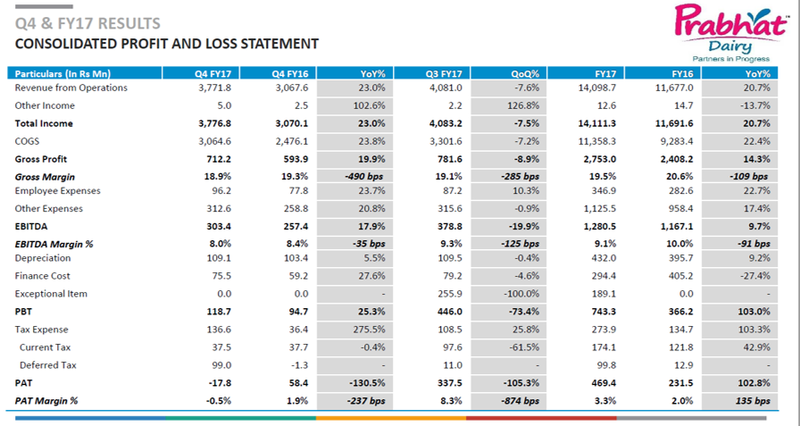 Gross margin decreased by 109 bps YoY from 20.6% to 19.5%. Q4FY17 Gross Profit increased by 19.9% YoY to Rs 712.2 mn. Gross margin decreased by 49 bps YoY from 19.3% to 18.9%. 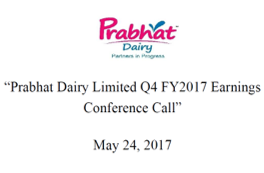 Q4 FY17 PAT decreased by 130.5% YoY from Rs. 58.4 mn. to Rs -17.8 mn. The share of value added products increased to 88% of total revenue in the quarter driven by specialty ingredients and cheese. Co-gen Plant at Shrirampur commenced operations during the quarter. Launched Ice Creams under ‘Volup’ brand in key towns of Maharashtra like Nasik, Ahmednagar, Aurangabad, Jalgaon and Dhule. Entered into an MOU with Nutridor Ltd. Thailand for being it’s co-manufacturer for Cow Ghee, Mozzarella Cheese and Sweetened Condensed Milk. Capex for FY 2017 was RS 50 cr and around Rs 40 Cr is expected for 2018. Finance cost is down 27% for the year and is expected to remain around the same levels. For Q417, Milk procurement prices increased by 5% QoQ from Rs. 27.21 to Rs. 28.57 per litre as the raw milk availability continued to remain impacted. For FY17, Milk procurement prices increased by 32% YoY from Rs. 19.50 to Rs. 28.57 per litre. Buffalo milk is in the range of Rs.40, Rs.45 a litre in the North India. Milk procurement did not meet the previous expectation of 10 lakhs lite for Q4 because of lower production. Milk prices expected to around the same levels in FY 18, Might ease a little given good monsoon is expected. In some cases, it is passed on immediately in the month. In sometimes, it takes at least three months to pass on the prices. In the branded business however there are certain products wherein they need to absorb the prices and when the market moves up, the prices also move up. They have taken multiple price rises in the year. One in November, One in March and multiple times in the last 3-4 months for various products. Currently they have around one-lakh retail touch points. 60,000 to 65,000 retail touch points are direct by the company. Around 30,000 to 35,000 retail touch points are indirect because we also have a very strong wholesale network. This is mainly serviced by 1200 distributors in Maharashtra as and 25 other states. 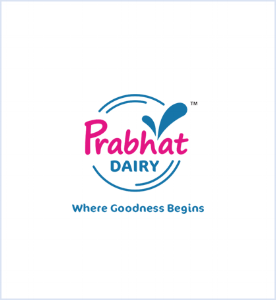 For fresh dairy products (milk, dahi, paneer, shrikhand) there are 25000 stores (all of them in Maharashtra). Other products with longer shelf lif are sold in all 1 lakh stores. Distributors get a margin of 7% to 8% and retailers around 15% to 20%. All the states are serviced through 2 factories. One in shirdi and one in Navi Mumbai. Expected to be neutral to positive. There could be some higher blockage of working capital requirement. According to them, Ice cream market is growing at 25% to 30% plus CAGR. There are limited players in Maharashtra. There is a lot of space available not only in tier 1 towns, but in tier 2 and tier 3 towns as well. 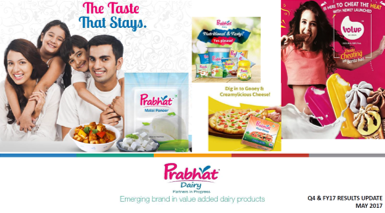 There are two brands; Sinsane is a premium category, which has SKUs ranging from Rs.40 to Rs.75 and Volup is a popular category which has SKUs ranging from Rs.5 to Rs.40. Present in 1200 outlets right now within in 45 days of their launch. Gain higher proliferation in the new states in which they have launched their products. Increase modern trade presence to 1000 by the end of FY18, compared to 140 this year. Scaling up their cheese business for which they had commissioned new cheese manufacturing facility with a capacity of 30 MT/day in 2015.